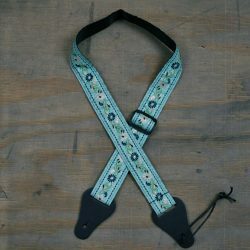 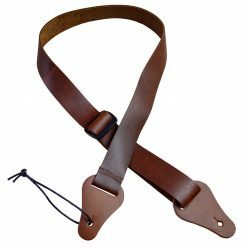 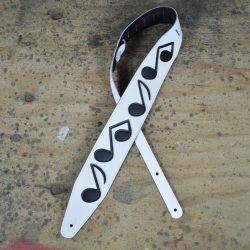 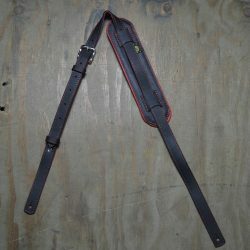 These vintage style guitar straps are made with a topgrain leather top and an upholstery backing. 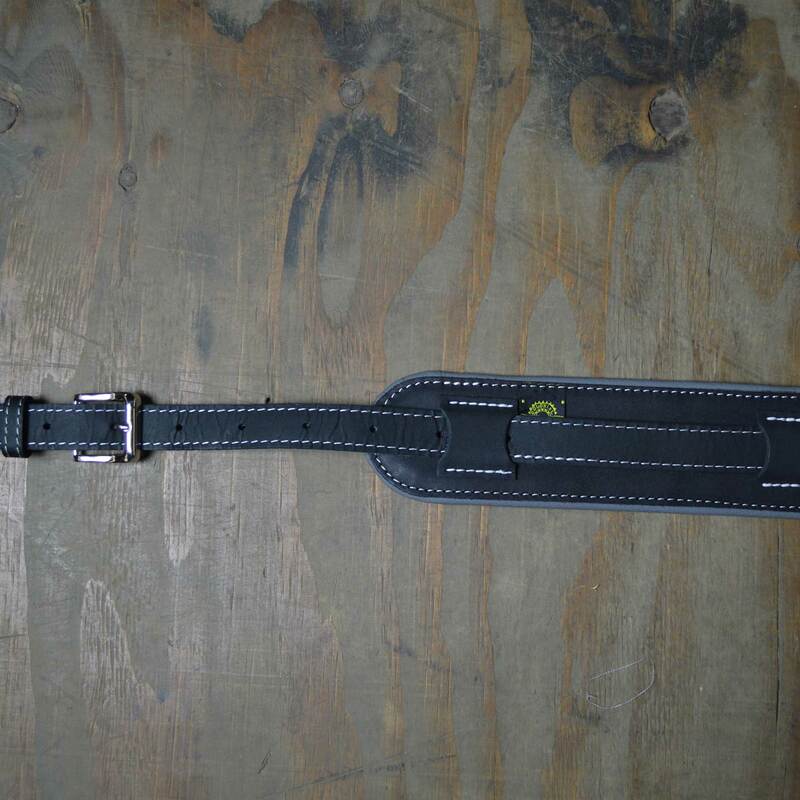 Stitching to match the upholstery colours. 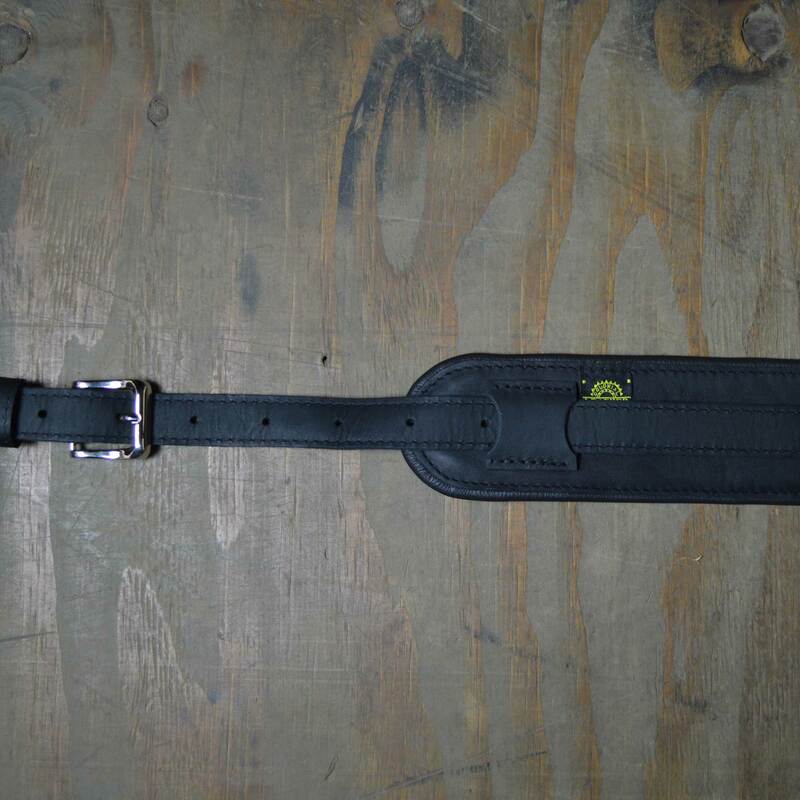 The moveable leather pad has high density foam between the layers of leather for extra comfort. 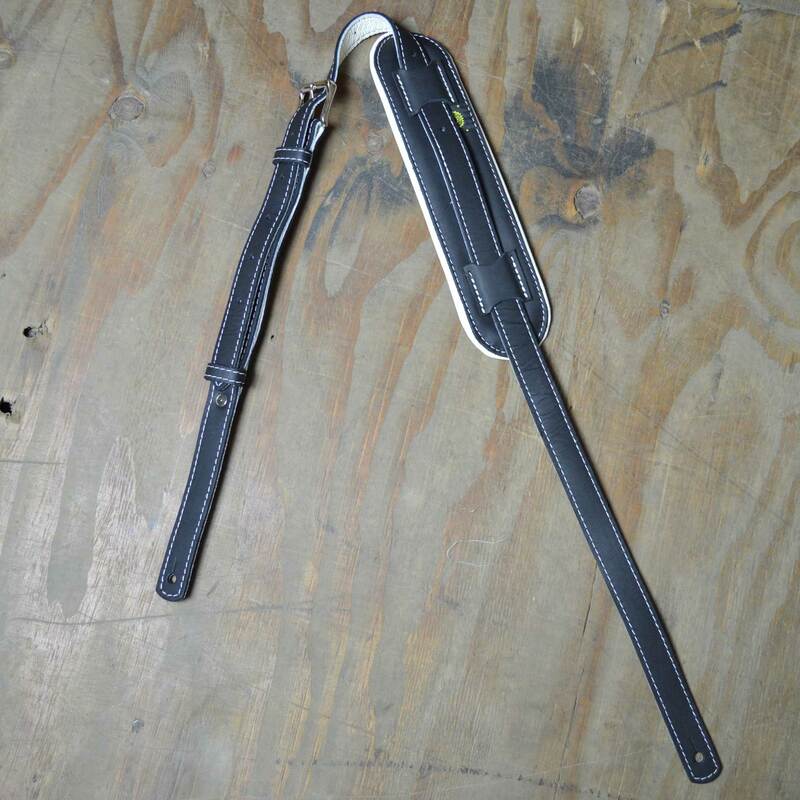 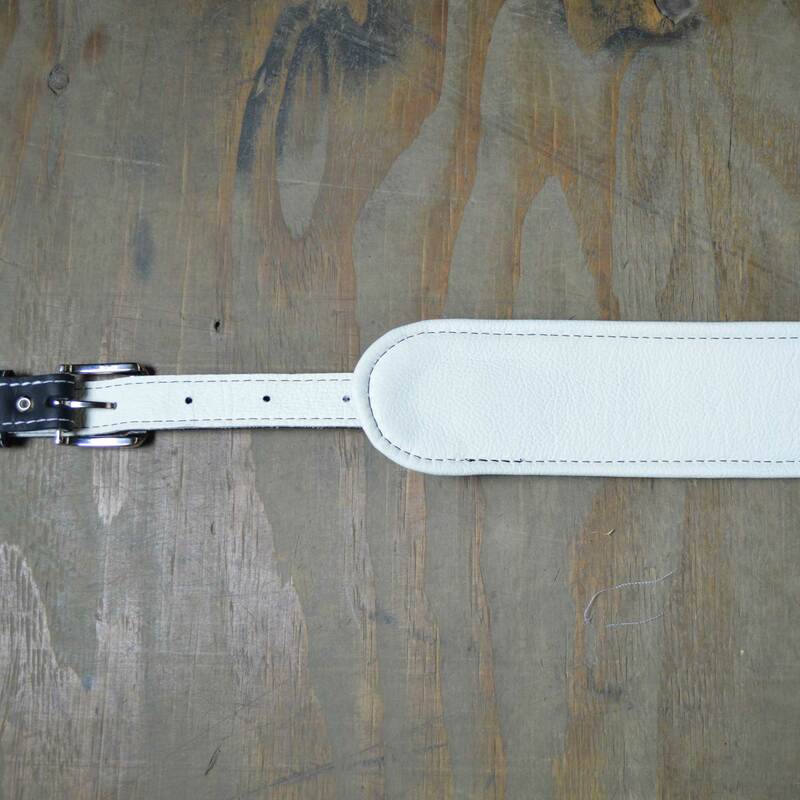 Buckle adjustable in length from 90cm to 130cm. 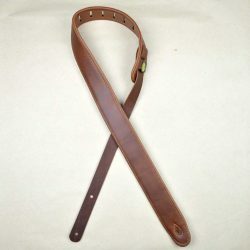 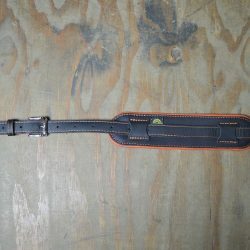 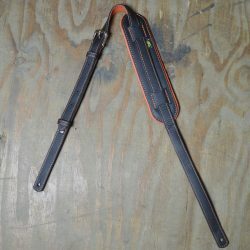 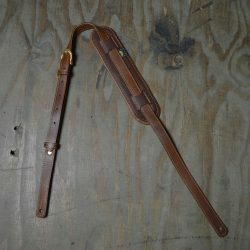 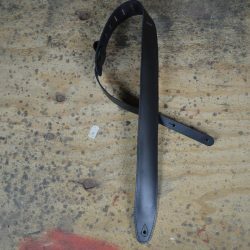 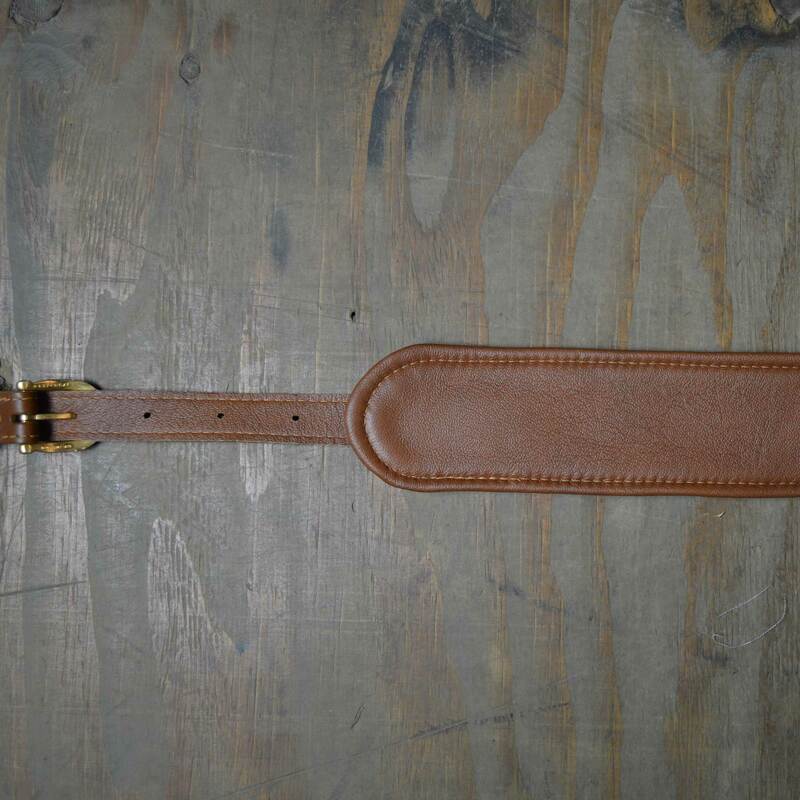 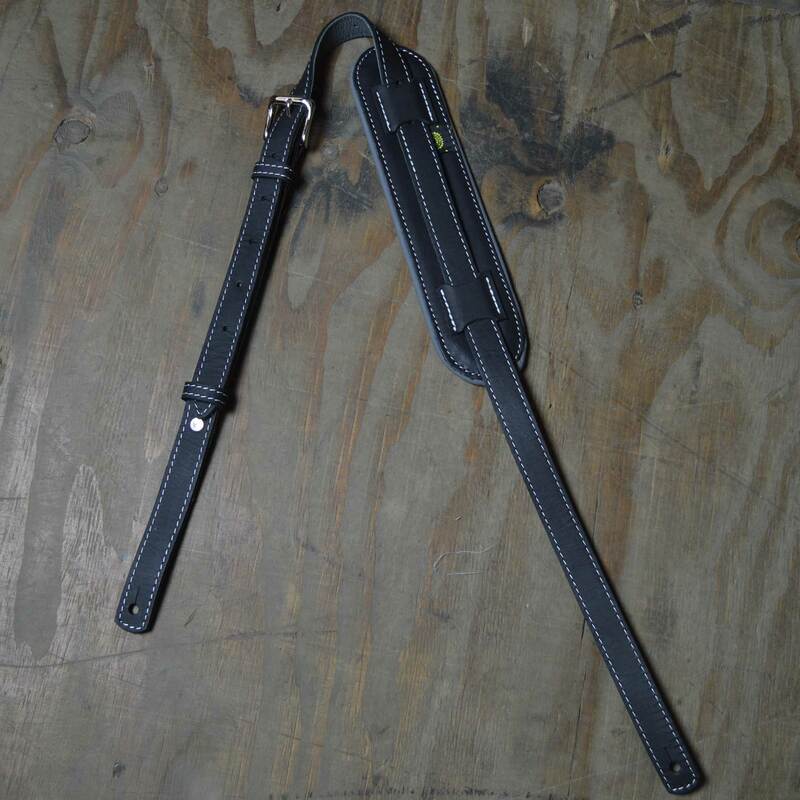 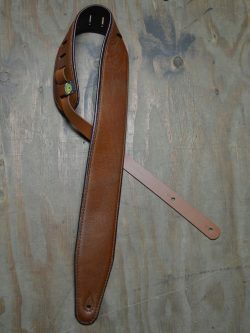 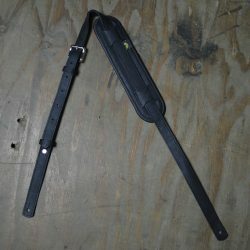 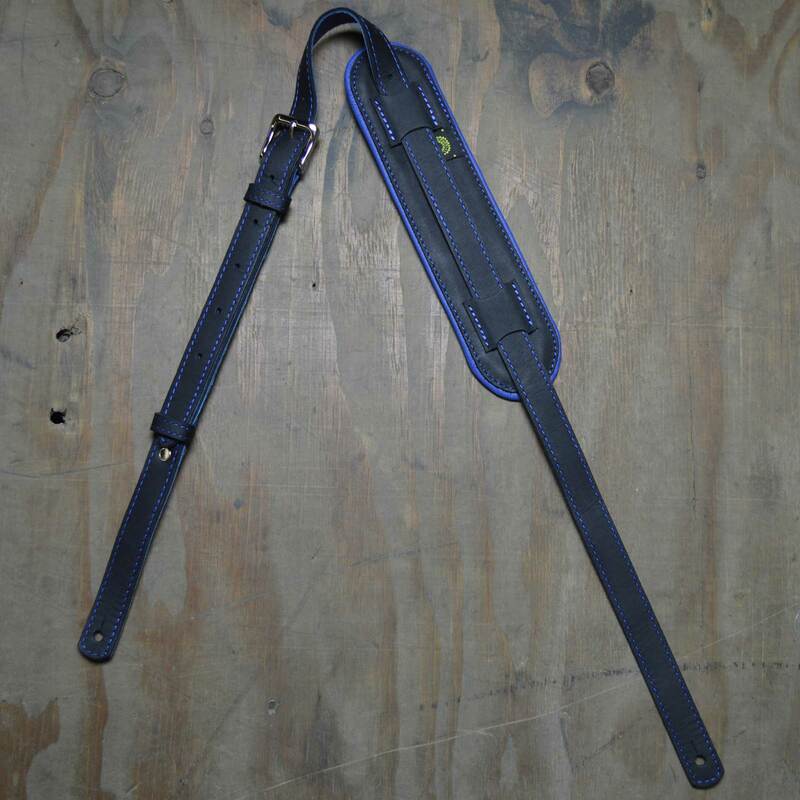 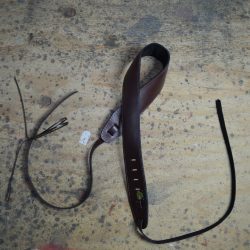 Vintage style guitar strap made with a topgrain leather top and an upholstery backing. 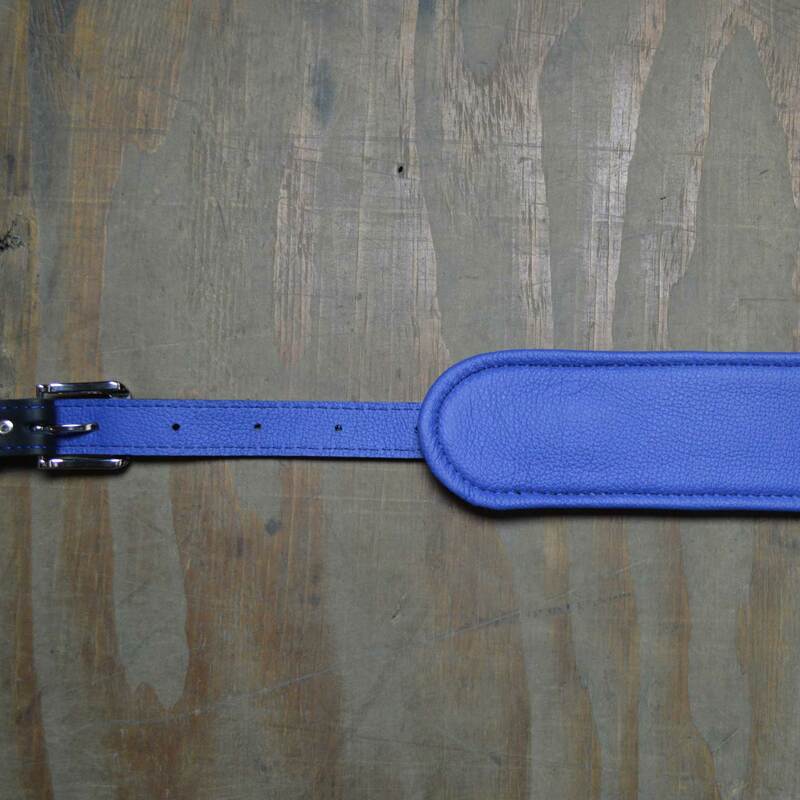 Black & Blue.